Check out Tobi's See You Again Maxi Dress Banquet dresses get a new attitude with the White See You Again Maxi Dress. With a sweetheart neckline, low cut back, slender straps and sleeves that fall off the shoulder, this evening gown is finished with a sassy front slit. You'll love how you look in this thigh split dress at your next formal event. Banquet dresses get a new attitude with the Emerald See You Again Maxi Dress. With a sweetheart neckline, low cut back, slender straps and sleeves that fall off the shoulder, this evening gown is finished with a sassy front slit. You'll love how you look in this thigh split dress at your next formal event. Banquet dresses get a new attitude with the White See You Again Maxi Dress. With a sweetheart neckline, low cut back, slender straps and sleeves that fall off the shoulder, this evening gown is finished with a sassy front slit. You'll love how you look in this thigh split dress at your next formal event. Banquet dresses get a new attitude with the Dusty Purple See You Again Maxi Dress. 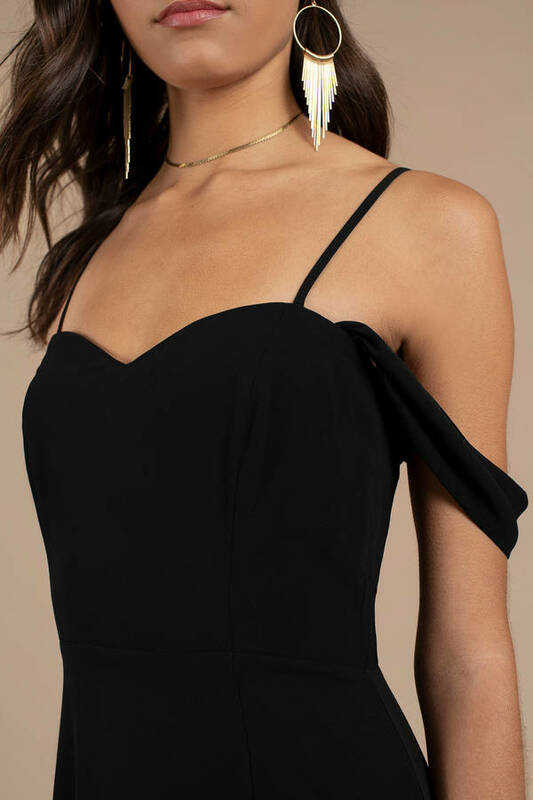 With a sweetheart neckline, low cut back, slender straps and sleeves that fall off the shoulder, this evening gown is finished with a sassy front slit. You'll love how you look in this thigh split dress at your next formal event. Banquet dresses get a new attitude with the Blush See You Again Maxi Dress. With a sweetheart neckline, low cut back, slender straps and sleeves that fall off the shoulder, this evening gown is finished with a sassy front slit. You'll love how you look in this thigh split dress at your next formal event. Banquet dresses get a new attitude with the Slate See You Again Maxi Dress. With a sweetheart neckline, low cut back, slender straps and sleeves that fall off the shoulder, this evening gown is finished with a sassy front slit. You'll love how you look in this thigh split dress at your next formal event. Banquet dresses get a new attitude with the Black See You Again Maxi Dress. With a sweetheart neckline, low cut back, slender straps and sleeves that fall off the shoulder, this evening gown is finished with a sassy front slit. You'll love how you look in this thigh split dress at your next formal event. Dusty Purple, Slate modeled on a size Small.